This tea evokes the flavors of a great teatime tradition. 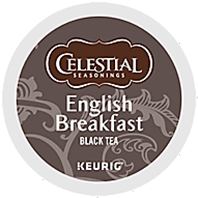 We blend the highest quality black teas from Assam and Kenya for a robust, full-bodied brew with a bright floral note. Stir in a touch of imagination and you'll be on your way to merry old England!